The I-VIEW headlamp provides you with superior hands-free illumination with up to 6 hours operating time. 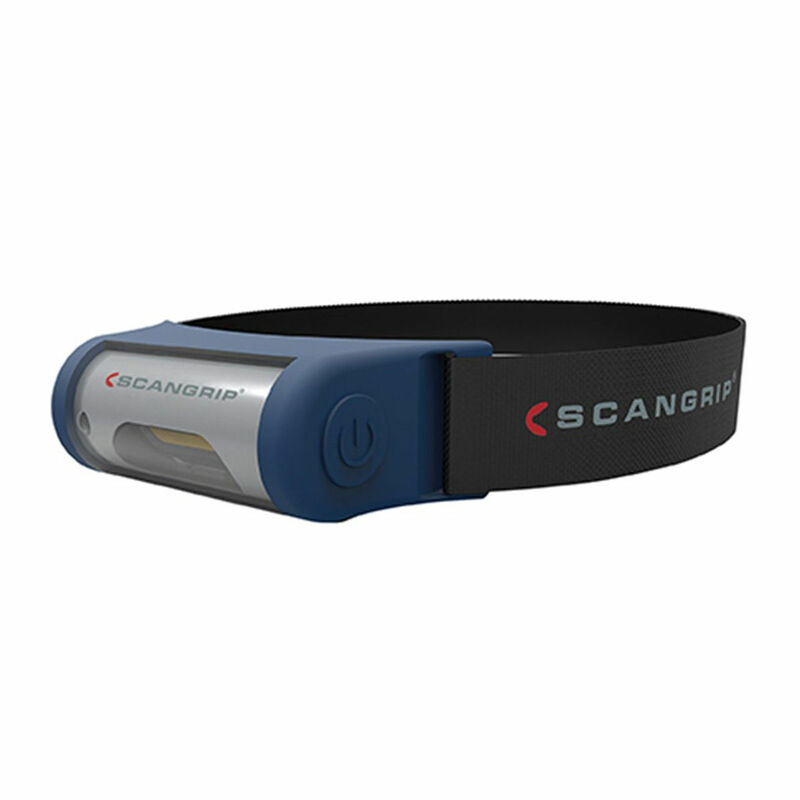 With the launch of the brand new I-VIEW headlamp, SCANGRIP is pursuing a vision to design innovative work light for the professional end-user. As opposed to all other headlamps providing a beam of light, I-VIEW is designed to provide optimum work light illuminating your entire work area. Supplied with the newest COB LED technology, the I-VIEW provides an extremely powerful illumination which spreads the uniform light to the maximum and lightens up your entire field of view. With I-VIEW you avoid turning the head to illuminate your actual workspace from a limited headlamp beam. I-VIEW is provided with the very newest rechargeable battery technology with extraordinary long duration, and sets new standards for professional work light. The design is ergonomic for a perfect, comfortable fit, and the woven band is strong and adjustable. The robust and sleek I-VIEW is both dust and waterproof with a remarkably low weight (only 260g). When set on sensor mode I-VIEW is turned on/off only by waving a hand in front of the lamp. Thus, the light can easily be switched on/off, even when wearing thick gloves.